Calibre is a free-to-use and open source tool that is able to convert multiple PDF files for that quick and easy sharing to target destination like Kindle. In fact, it makes the cataloging of PDFs a breeze. Calibre works pretty well for most of the PDF files containing simple formatting. 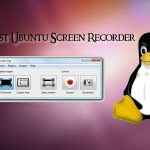 This app is best suited for both casual users and computer experts. This review article will seek to find out what features Calibre has to offer when it comes to PDF files. Does it really fit as a go-to software when you need to convert PDFs? We find out this and more in regard to how Calibre deals with PDF files. Let us get started with the review. Calibre is without doubt very rich in the number of output options it has that you can convert your PDF files into. This means you are not limited in any way regarding the output file you prefer. Calibre allows you to save the output file in various formats including EPUB, FB2, HTMLZ, LIT, LRF, MOBI, PDB, PDF, PMLZ, RB among others. The list is very rich so you can explore further formats after you have installed this application. In the instance that your PDF did not have a cover, Calibre will enable you to include a cover of choice in an easy and intuitive manner. The cover you choose to use is automatically added to the original PDF file and will appear in the new output file of supported format. Adding a cover will help you to have a way of personalizing the file and to make sure the user has an idea of what the file is talking about even before they can open the file. For an even better and enhanced personalization, Calibre lets you modify various components of file metadata to your preference. The metadata information that you can tinker with includes Title, Author(s), Author sort, Publisher, Tags, Series and more. If the original PDF did not have the metadata, after it has been converted, the output file will feature the modifications made. Depending on the number of files you are planning to convert, Calibre will work in two major modes. One is that you can convert each file individually or make work easier when dealing with many files by implementing bulk conversion. Converting in bulk will save you the time and hassle of having to select each and every file on its own to convert. Regarding the time taken to convert files, the size of the input file is the one that determines how long the conversion process will span. With Calibre, the larger the PDF file, the longer the time it will take to convert to any target format. That means you should not worry much if you input a large file and you notice that it is taking longer to complete. At the same time, expect small PDFs to convert at the blink of an eye due to how powerful Calibre is. 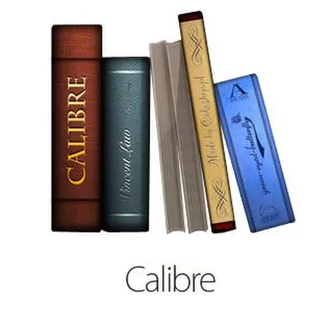 Calibre empowers the user with control over how files get saved on the computer. It will allow you to select an output folder of choice and if you do not customize it, the default library directory under your username folder will be used. By choosing your own directory, you will be able to access the output files faster and conveniently for further actions like sharing and uploading. 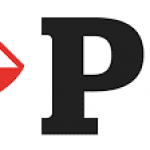 From this Calibre review article, you have had a chance to learn all that you are to expect when you decide to get started with this software to manage your PDFs. 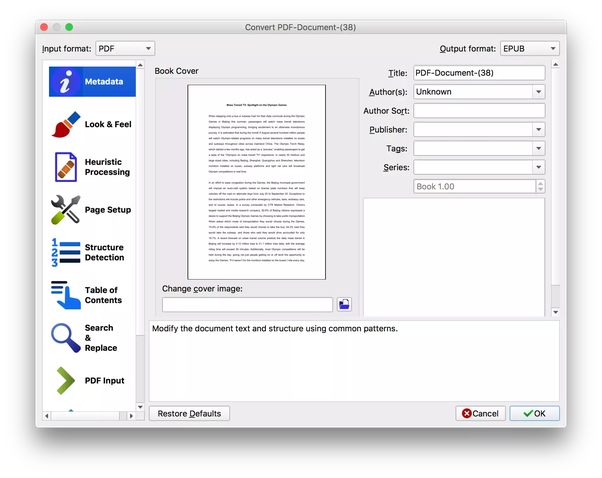 Do you feel that it has the features you would be looking for in a PDF converter?